One of my favorite parts about summer is the fresh fruit and veggie bounty! 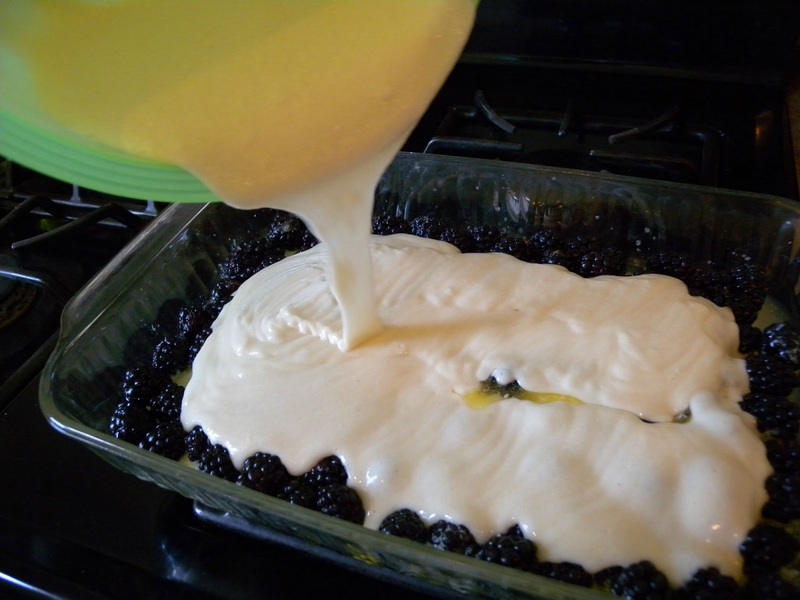 We have loads of blackberries around here - some wild and some have been planted. And if I can get to them before the birds do...it's a daily blackberry feast. 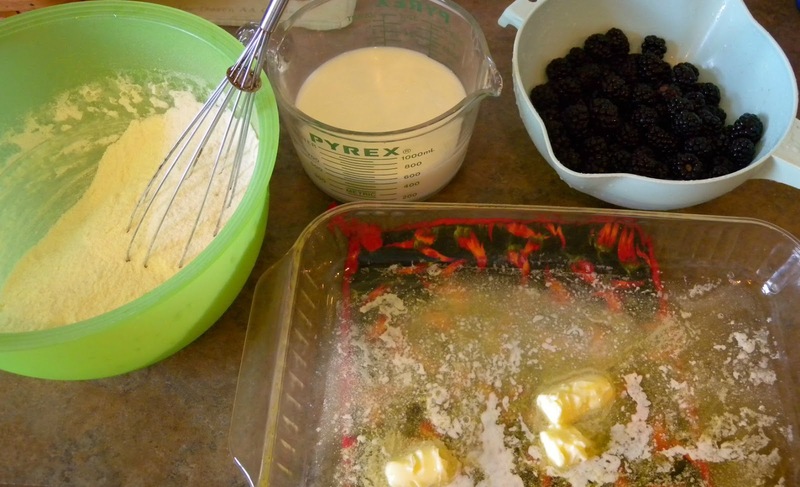 This time of year, it's not unusual for us to have fruit cobblers for dinner and tonight it's blackberry. Here's my recipe which was given to me by my mom who got it from a friend when I was a teeny tiny kiddo, so I've been eating cobbler made this way my whole life..no wonder it's my favorite! And it's SUPER easy and it totally fills up the entire pan..win, win, win! You can add any fruit to the cobbler - peach, apple, blueberry, raspberry, blackberry, cherry or for a new twist - mix a couple of them together.